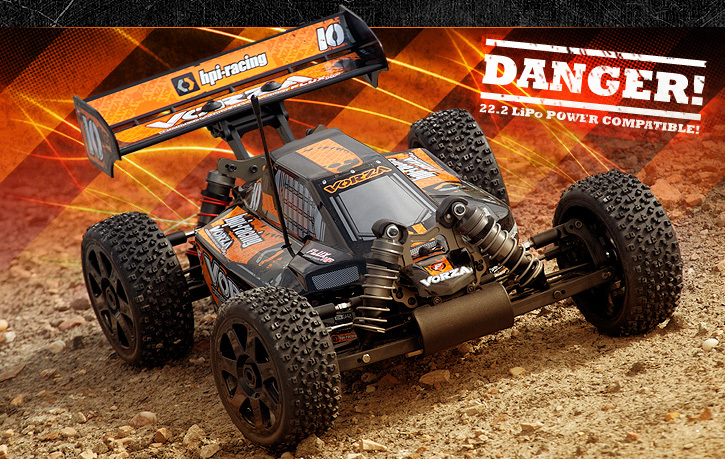 With the World Championship-winning HB D8 buggy as its foundation, the Vorza takes the race-winning design of the D8 and mixes it up with HPI Flux HP tech from the Savage Flux HP to give you awe-inspiring speed! 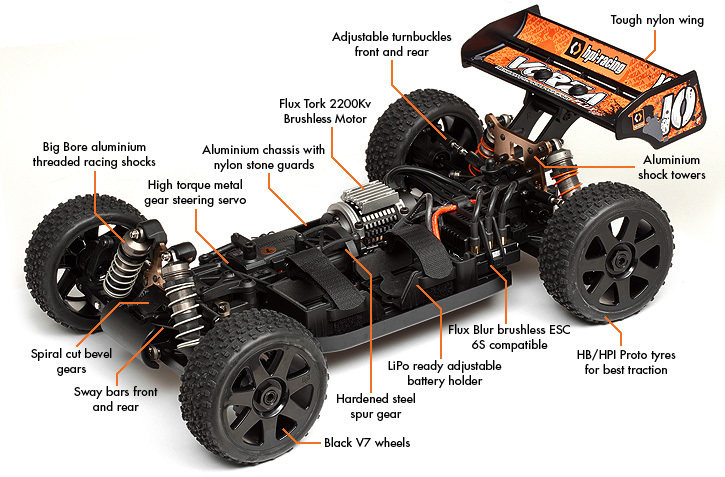 This is a ready to run (RTR) buggy that you can take to BMX jumps for hair-raising big-air thrills, and then you can take it straight to any buggy track for top-level racing action - it will turn heads and amaze your friends! The Vorza has everything that backyard bashers and racers want! The Vorza Flux HP is our FASTEST buggy, able to reach speeds up to 117km/h, or 73 mph*! Can you imagine an electric buggy going that fast? The Flux Blur speedo takes 2 batteries, allowing you to fit in up to 6S of LiPo power for utterly insane top speeds and mind-boggling take-off power! Holy smokes, 73mph with a 2650kv motor! looks like a pretty sound car beeing based on the D8, and dosnt CC make the FLUX stuff, so your getting pretty much a D8 with 2200kv/MMM for about 700! Last edited by SwisströM; 09-10-2009 at 10:01 AM. best looking rtr setup so far from the MFG's looks much better than their plastic junk buggy they were trying to do. Sick buggy, but i am surprised they dont have the Blitz coming out before this monster. The R is for ROAR i'm guessing? The battery tray is complies with ROAR rules on battery size. The HB car is very balanced and handles like a D8. I'm kinda liking this traditional lay out more then the Ve8. anyone know the ETA on this car?